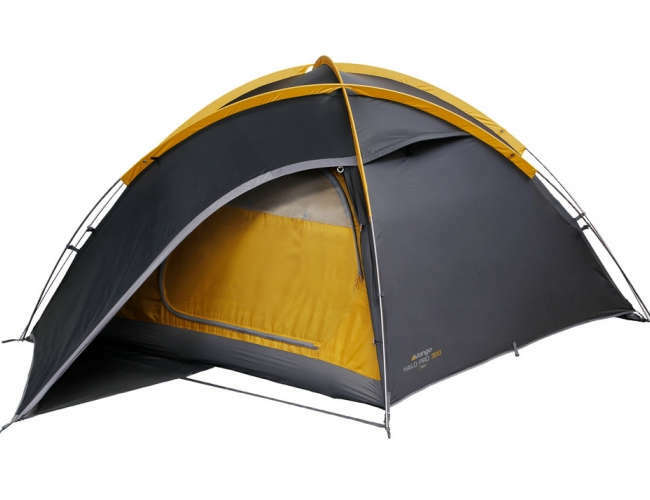 semi-geodesic backpacking tent with an upgraded ripstop fly-sheet and poles. O-shaped doors includes a mesh panel in the upper half for ventilation. Flysheet vents with mesh coverings.